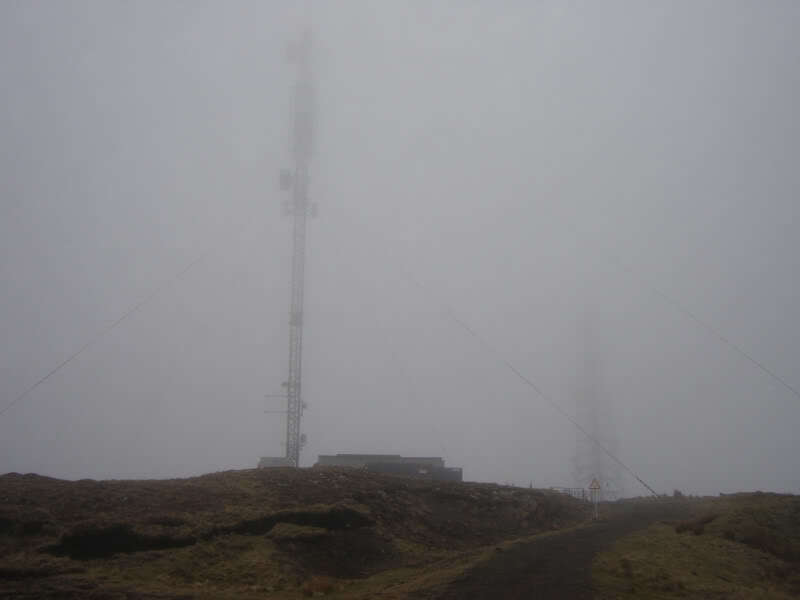 On Tuesday morning, low cloud was down to 100m on Skye. 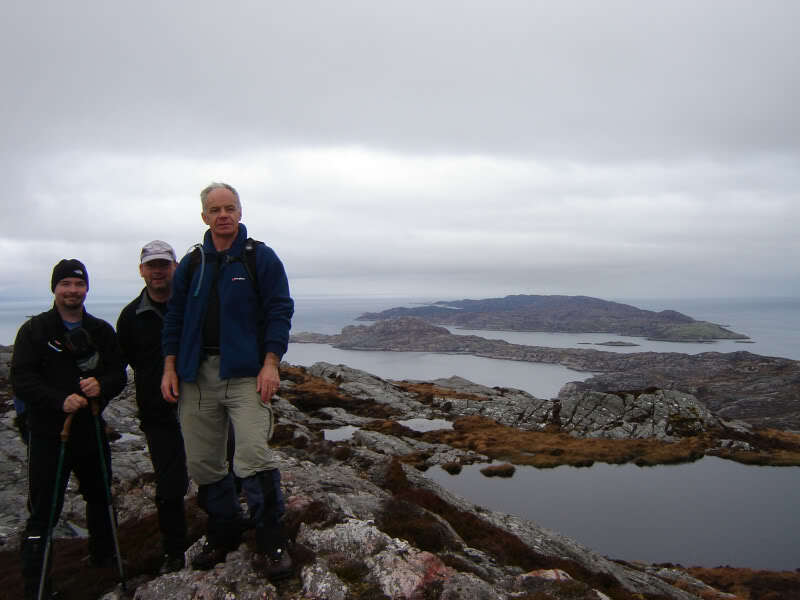 We therefore abandoned all thoughts of venturing onto the Black Cuillin and opted instead for a trip to Raasay. 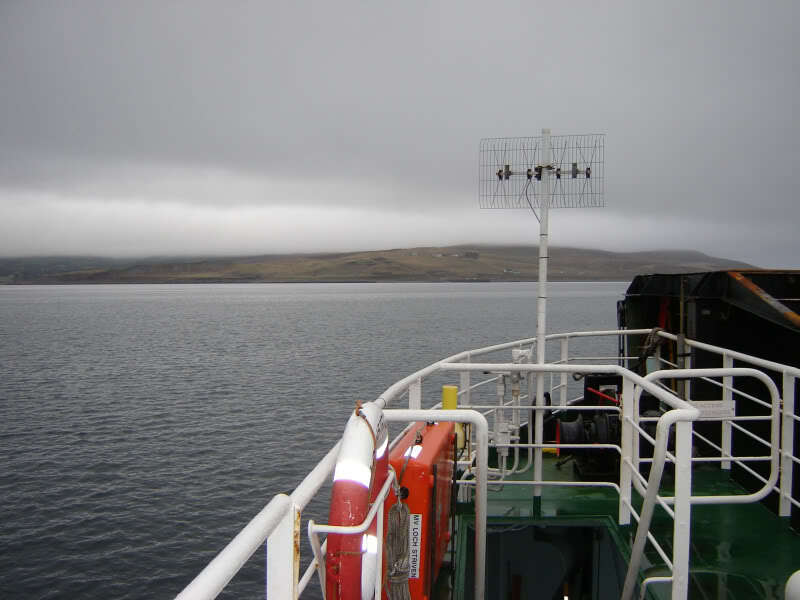 We boarded the 08.30 Calmac ferry from Sconser and arrived on Raasay about 20 minutes later. 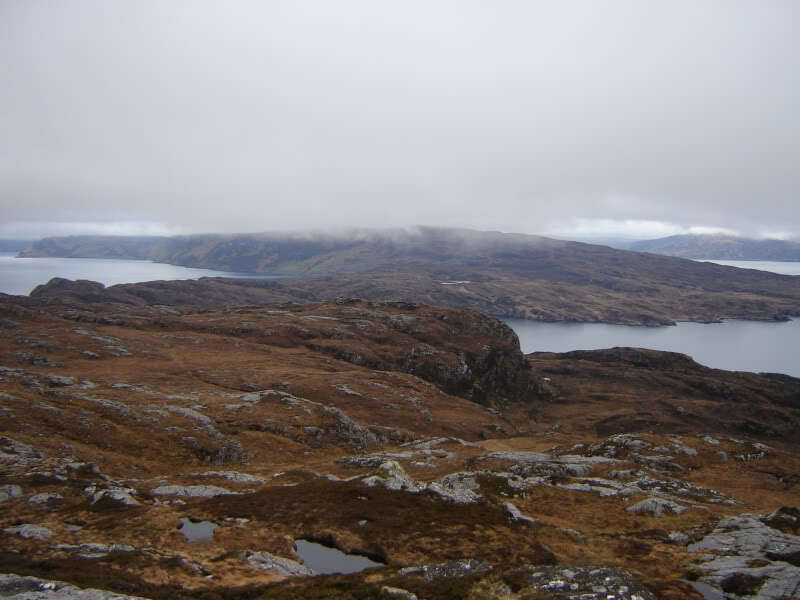 As the cloud was still low, we made for Beinn na h-Iolaire in North Raasay first, hoping that the cloud would lift by afternoon for an ascent of Dun Caan. 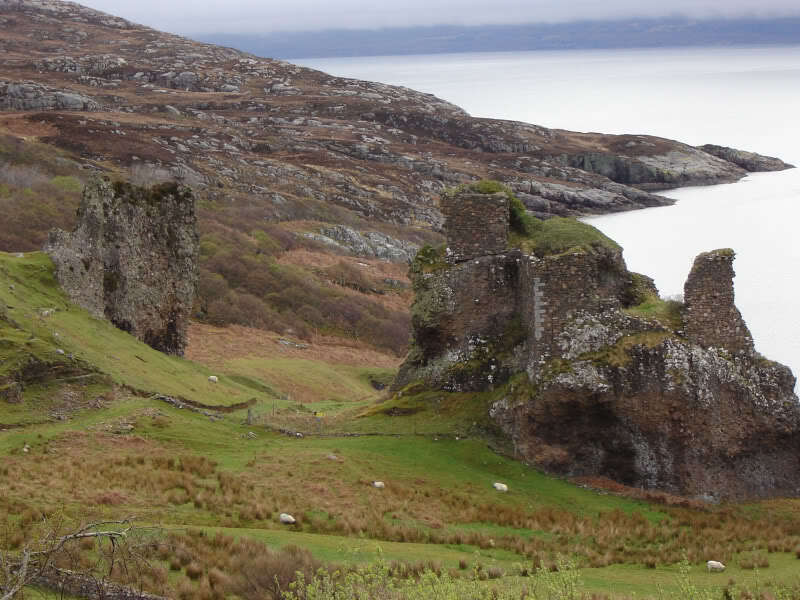 The road to the North of the island can certainly be described as 'interesting' - lots of nice views and a real rollercoaster of a ride. 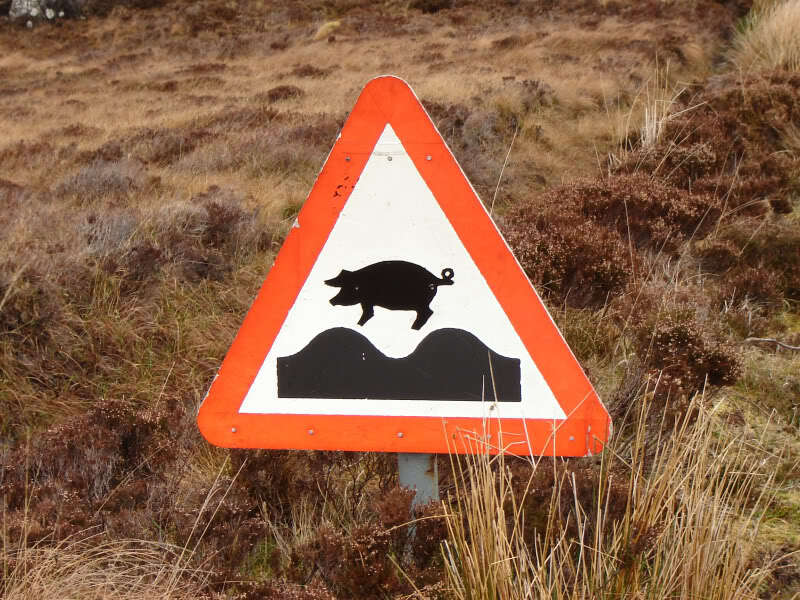 To the North of Raasay we passed Brochel castle, travelled along Calum's road and come across some bizarre road signs! 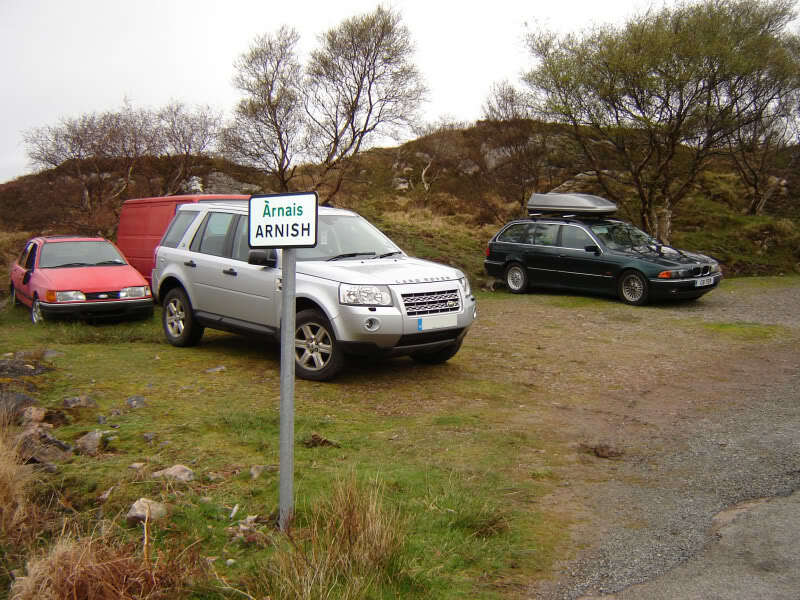 We parked at the road-end at Arnish where there is room for several cars. 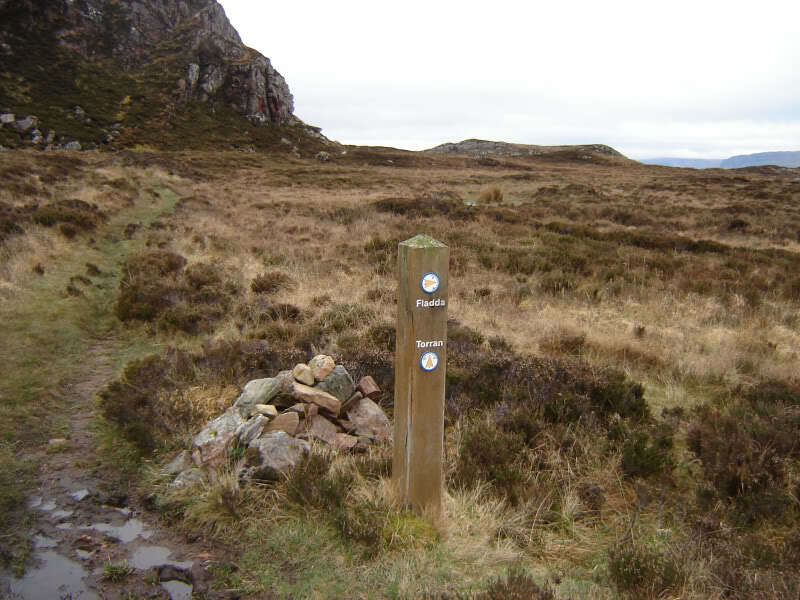 From the car park we followed the way-marked track towards Torran. 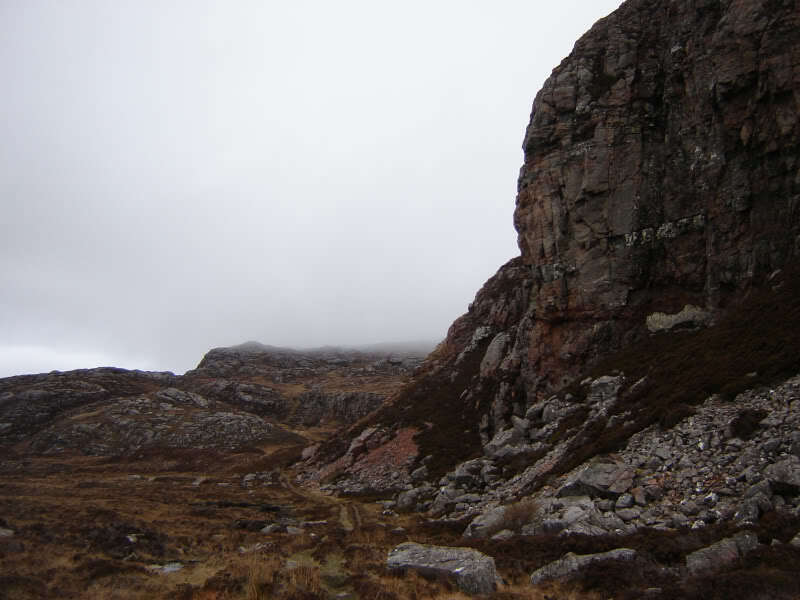 At Torran, we took the right path towards an impressive crag, marked on the map as 201m. 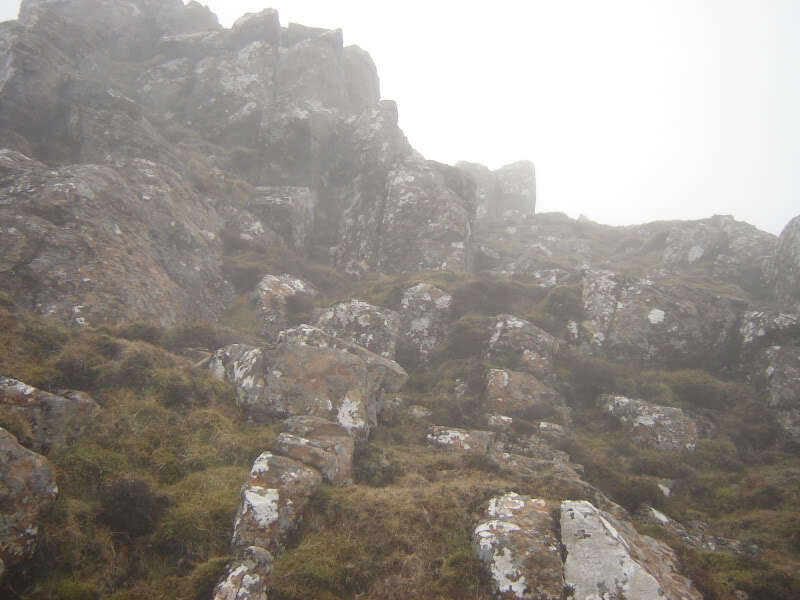 We skirted round the crag and ascended to the col between the 201m crag and Beinn na h-Iolaire, following the way-marked signs towards “Rona”. 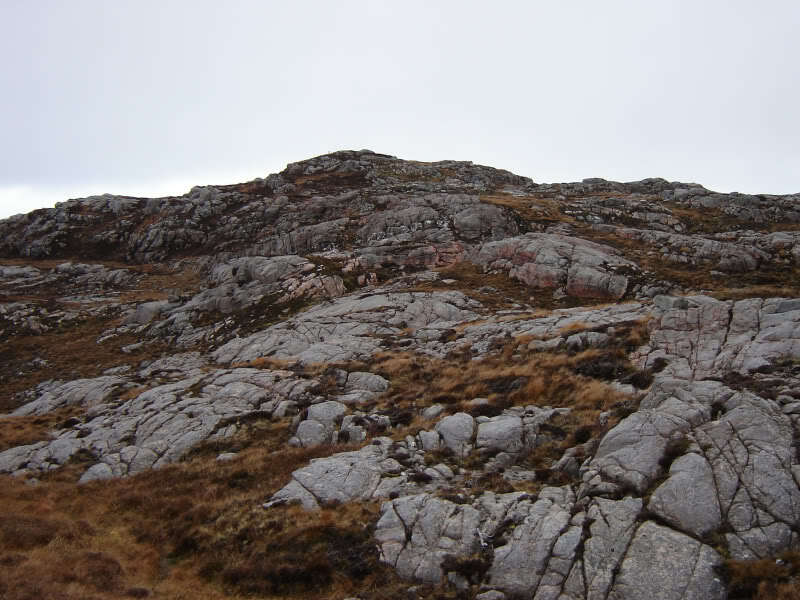 From the col we made our way across rocky outcrops towards the summit of Beinn na h-Iolaire. 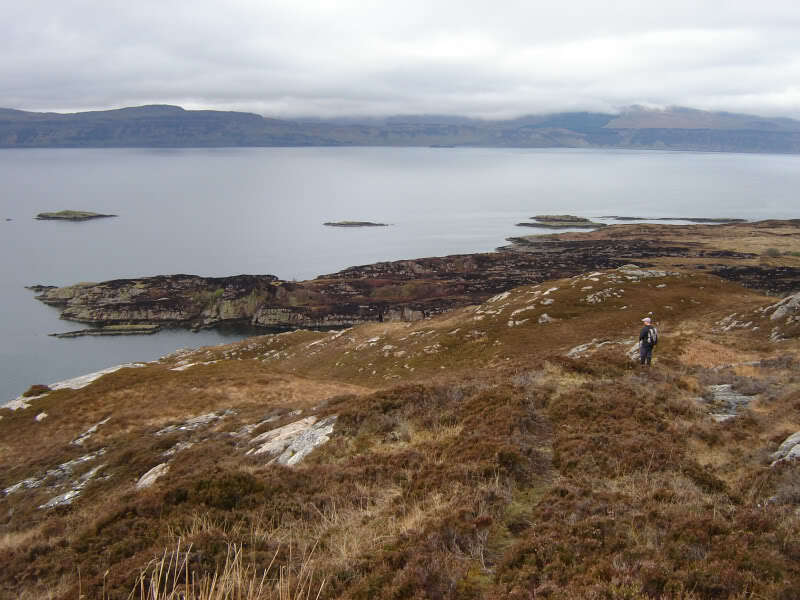 We stayed at the summit for at least twenty minutes to take in the fantastic views across to Rona, Applecross and South Rassay. 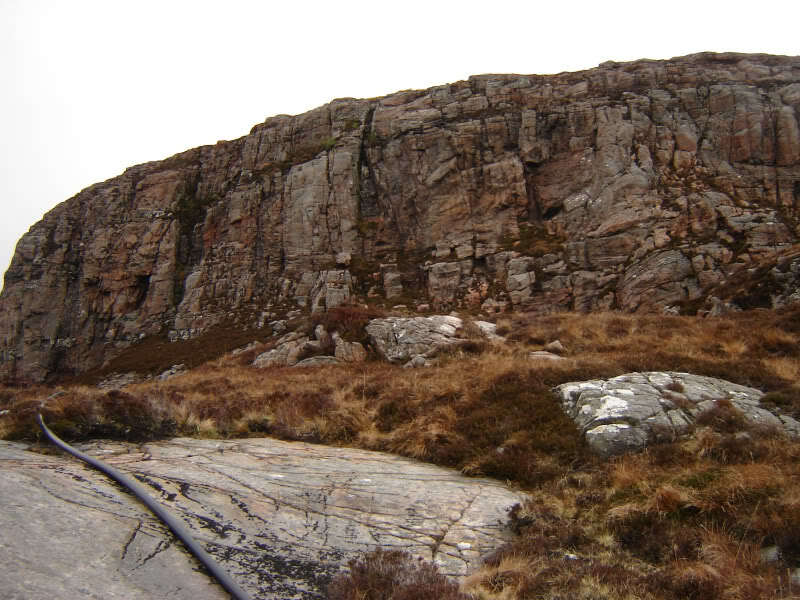 The summit of this hill appeared to be directly opposite Beachcomber Cottage, near Applecross. 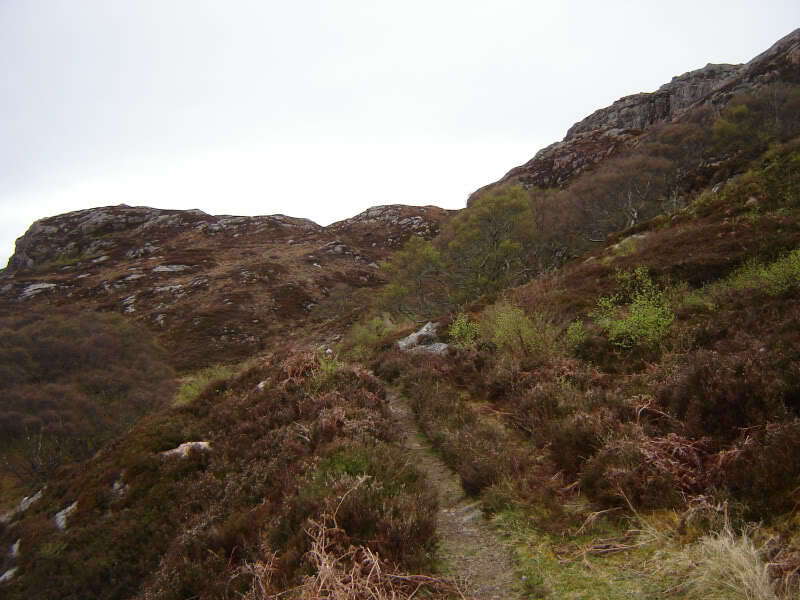 To return to the car, we descended back to the col between Beinn na h-Iolaire and the 201m crag and then took the path towards “Fladda”. 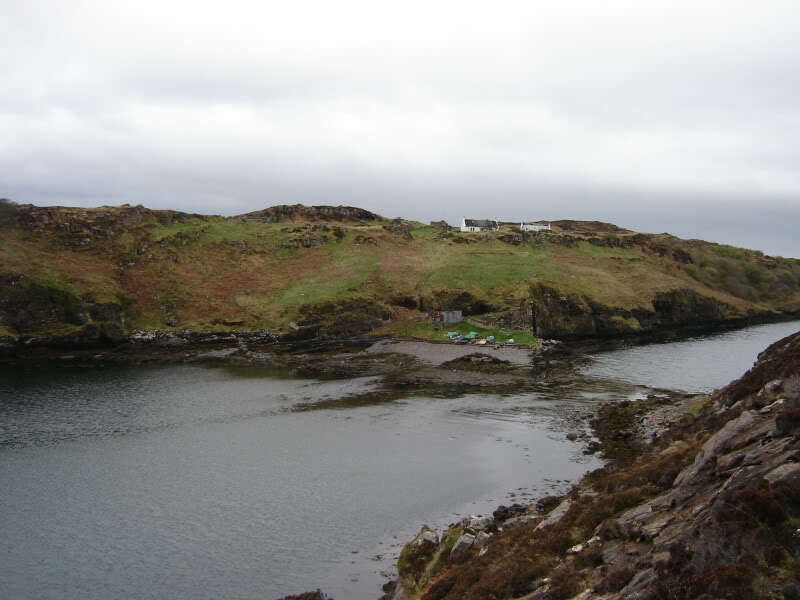 We descended towards the Isle of Fladda, hoping that we would be able to walk across a small causeway onto the island. Unfortunately, we could get across onto Fladda as the causeway was under water. 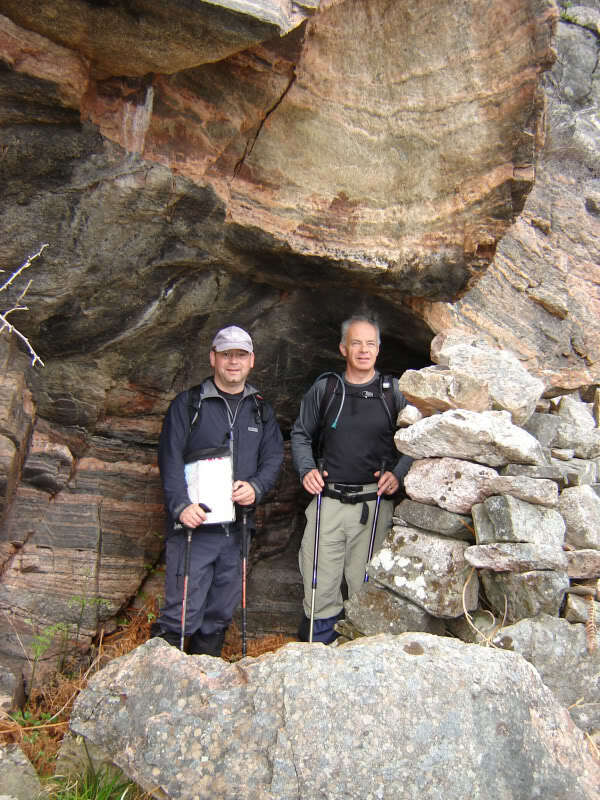 From Fladda, we took the coastal path back to Torran, passing a few interesting features en-route. 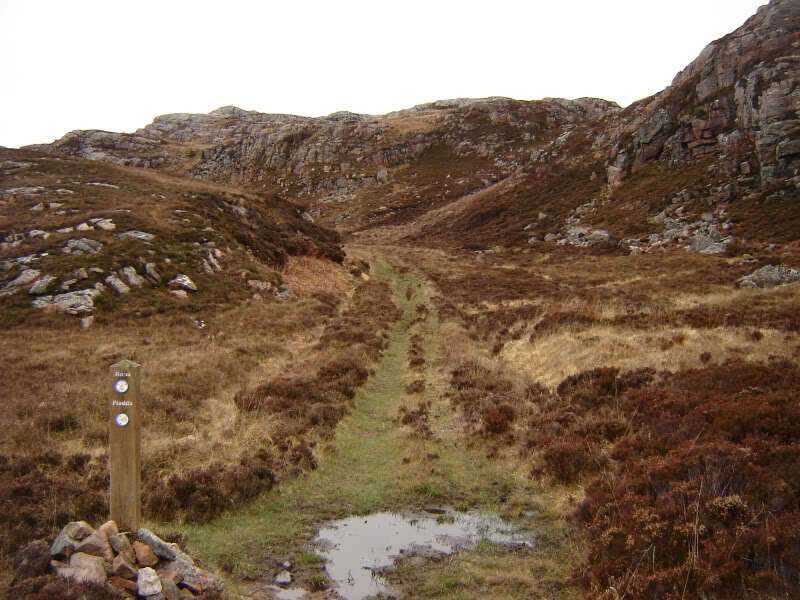 On reaching Torran, we took the track back to Arnish. 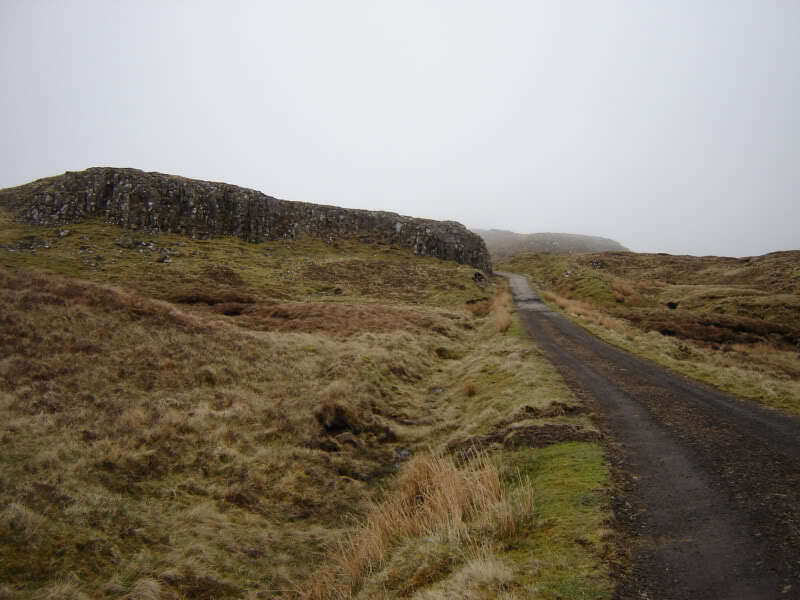 We then drove to the starting point for an ascent of Dun Caan. 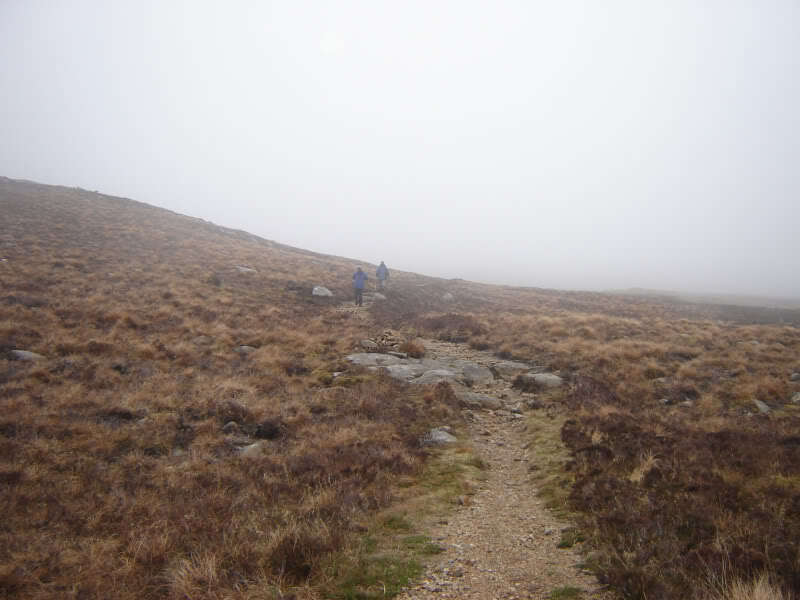 Unfortunately, the low cloud had not lifted. 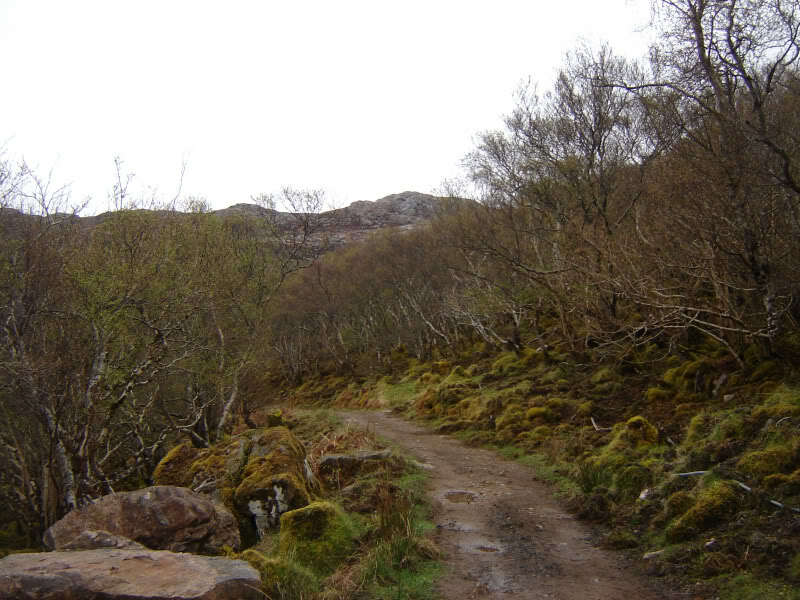 We followed the path as far as a small lochan and then after a short descent to Loch na Meillich (public water supply). 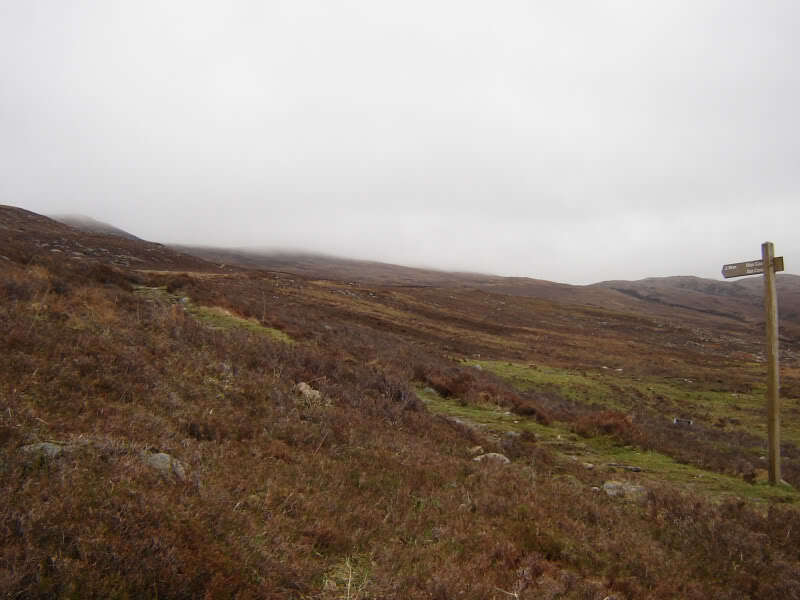 From Loch na Meillich, we ascended steeply up a zig-zagging path towards the summit of Dun Caan. 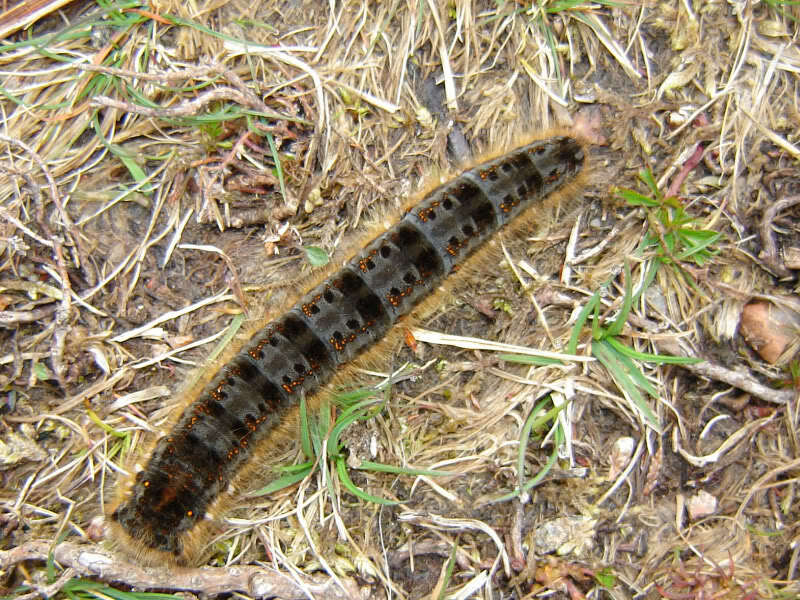 At the summit, we met several other hillwalkers. 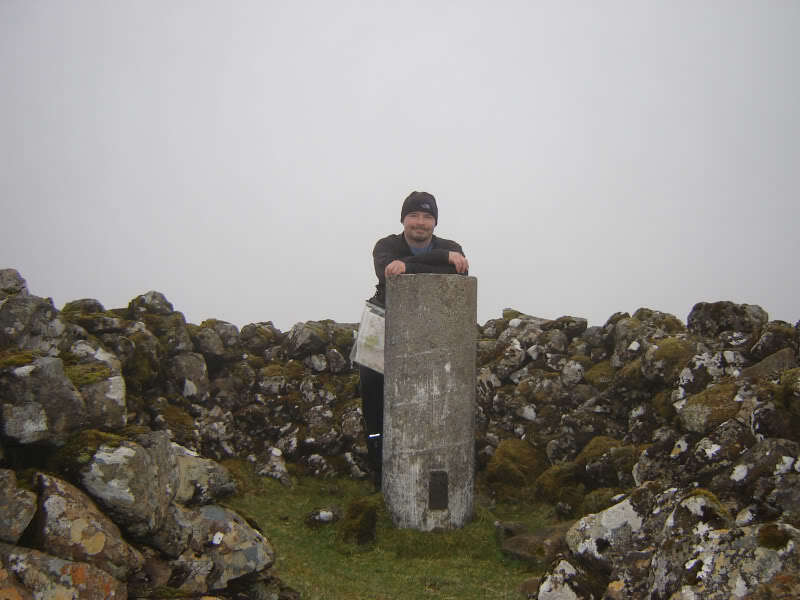 In the mist, we weren't sure if the trig point or the rocky lump along from it was highest, so we visited both. We returned to the car via the same route. 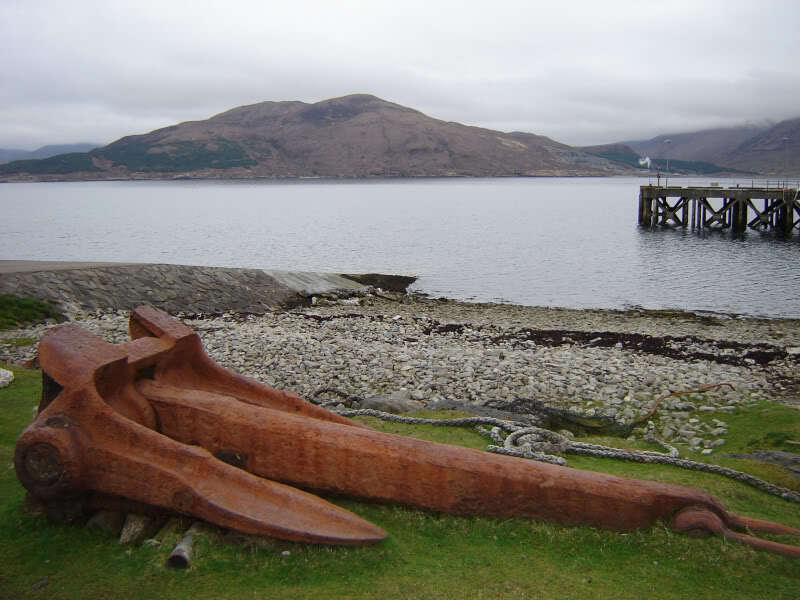 While waiting for the 15:30 ferry back to Sconser we spotted a large rusty anchor. 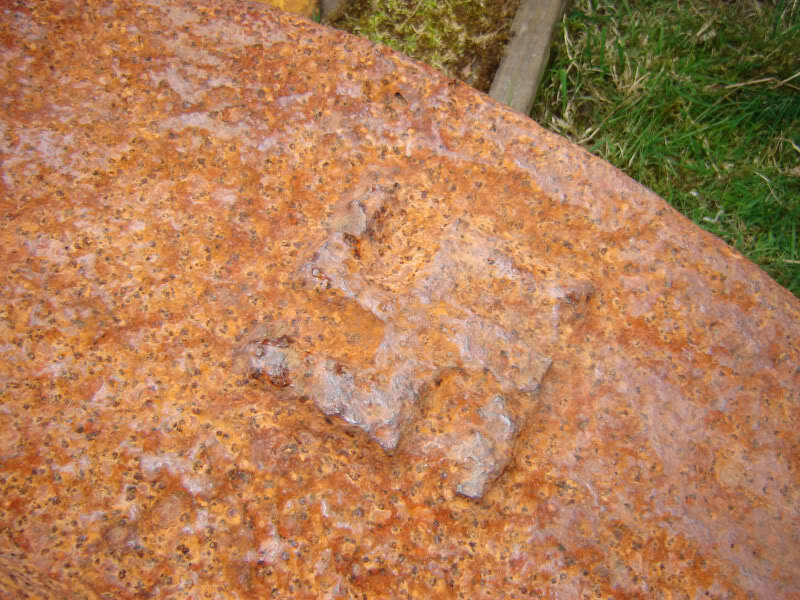 On closer inspection it would appear to have been from a WWII German boat. After the ferry trip back to Sconser, myself and Turracoo decided to head-up another Marilyn en-route to Portree. 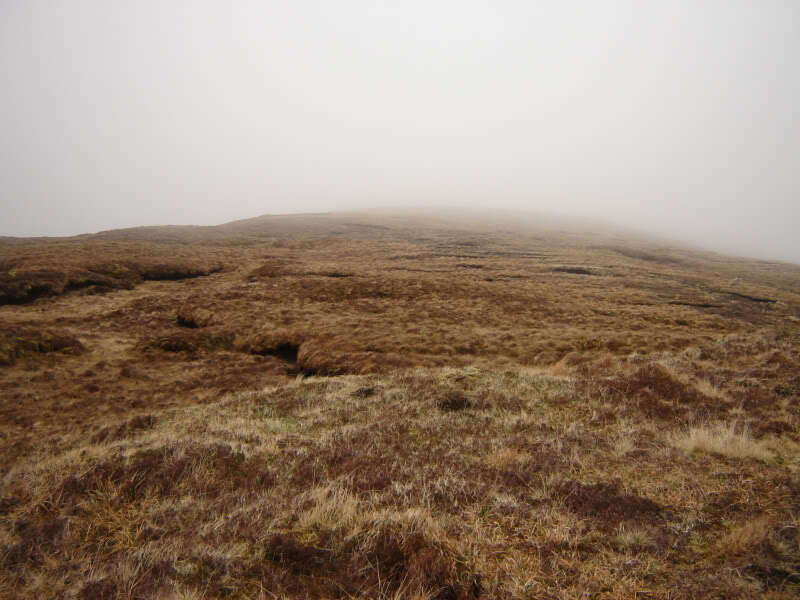 We followed a surface track as far as the transmitters on Skriag. 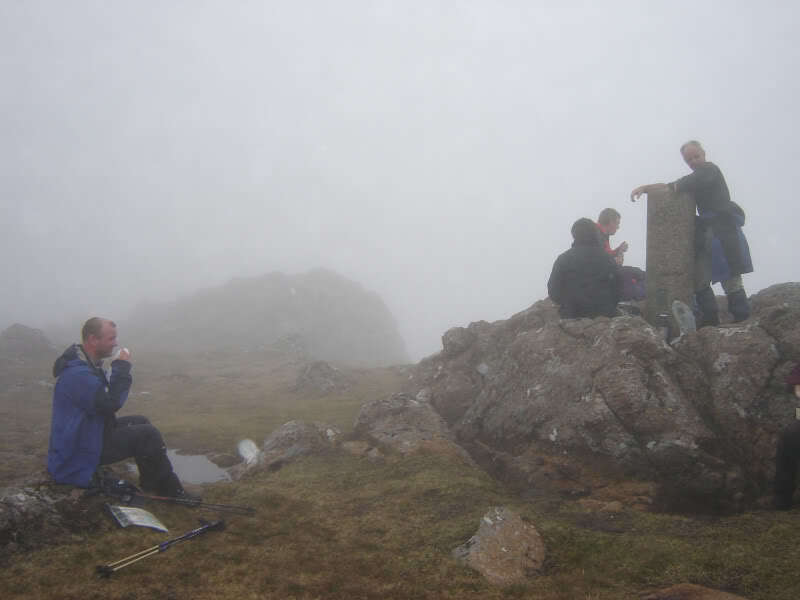 We then took to wet hillside towards the summit of Beinn na Greine. 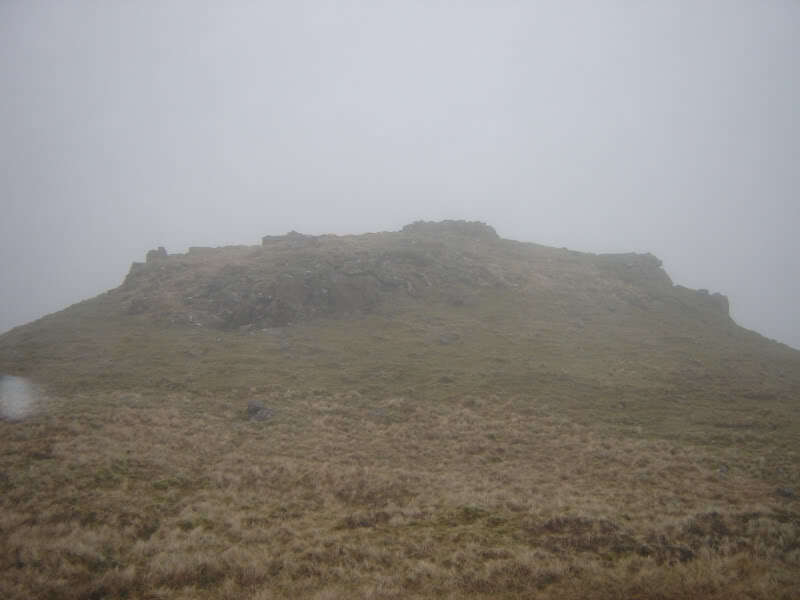 From the summit, we returned to the car via the same route. 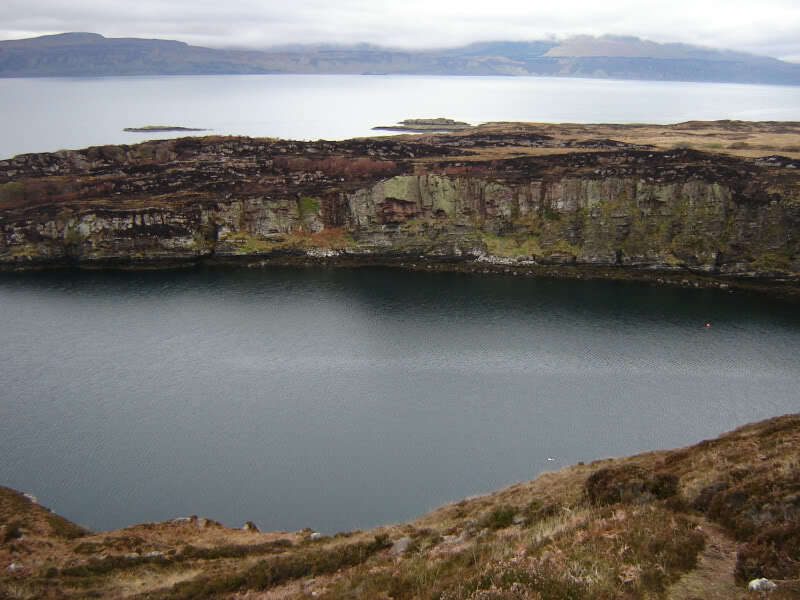 Thoroughly enjoyed the trip to Raasay. 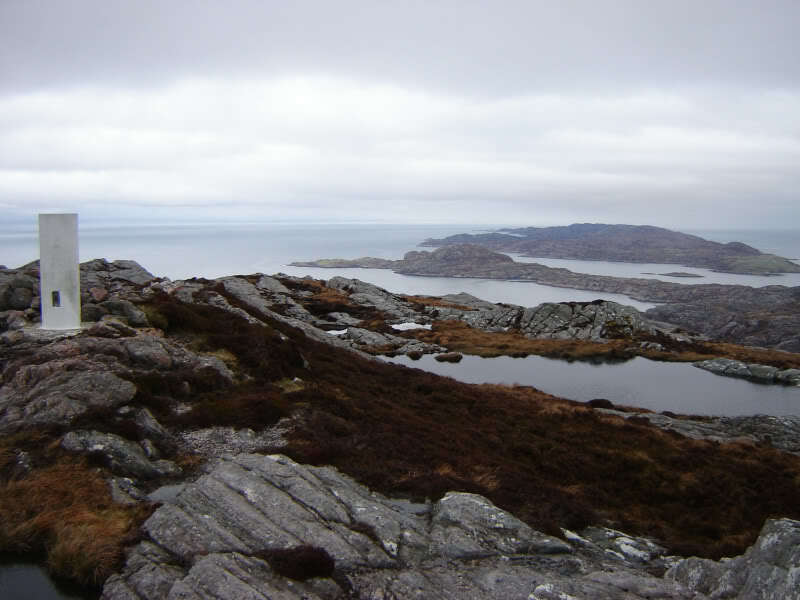 Beinn na h-Iolaire is a wee gem.